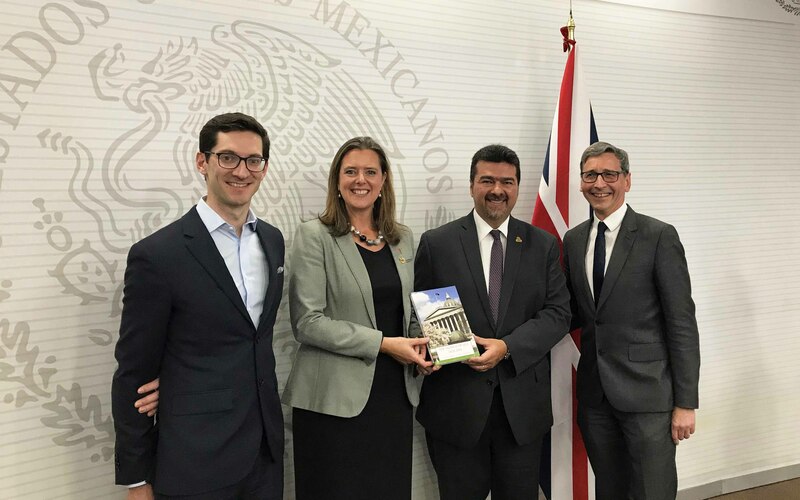 UCL, along with London-based institutions Imperial College and the London School of Economics (LSE), has joined Mexico’s newly-launched £7.8 million sustainable energy research programme. The initiative is the largest bilateral cooperation with the UK in this field. Over the last two years, UCL has worked with Mexican institutions to develop a programme of research around sustainable energy use in buildings and cities, as well as innovation to support clean energy growth. Speaking at the signing of a memorandum of understanding (MOU) marking the joint venture in Mexico City this month, UCL representative Professor Tadj Oreszczyn (UCL Energy Institute), said: “UCL values the relationship it has developed with SENER, CONACYT and Mexican research institutes over the last two years in the area of energy sustainability. “UCL is committed to help tackle the key global grand challenges, [and] it is only through such collaborations that we will be able to reach global energy sustainability within the time scales required. All of the research projects will be jointly developed with Mexican institutions. The UCL Energy Institute and UCL Institute for Innovation and Public Purpose, both part of The Bartlett, UCL faculty of the built environment, are involved in projects that include smart and sustainable cities, energy innovation policy and energy efficiency in buildings. LSE will look at transition to a low-carbon economy and Imperial College will focus on advanced solar systems and capacity building in university-led entrepreneurship and innovation. More recently it established the Institute for Innovation and Public Purpose, with the aim of changing how public value is imagined, practiced and evaluated to tackle societal challenges and achieve economic growth that is more innovation-led, sustainable and inclusive.